I experimented with the colours in this painting which were a combination I hadn't used before. I discovered that soft sky blue on top of pink makes a lovely dove grey. 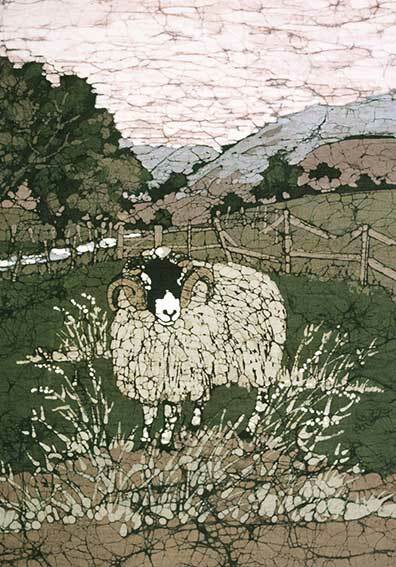 I used all these colours for the hazy distant hills, working the pink into the cracks in the sky for a feel of the dawn light and the Batik crackle made a lovely texture for the Swaledale's wooly coat.